Double S-72 has a 72 ounce face weight, and the blade is 1 7/8” in height. The color is an olive/emerald blend with brown/green thatch. The Double S Blade is an engineered blade designed to replicate natural grass in both appearance and function. The Double S has an uneven surface, consisting of seven sublayers. This provides effective insulation and reflection of the sunlight. Do you like to have parties, but not too fond of keeping your lawn in its best shape all year long? 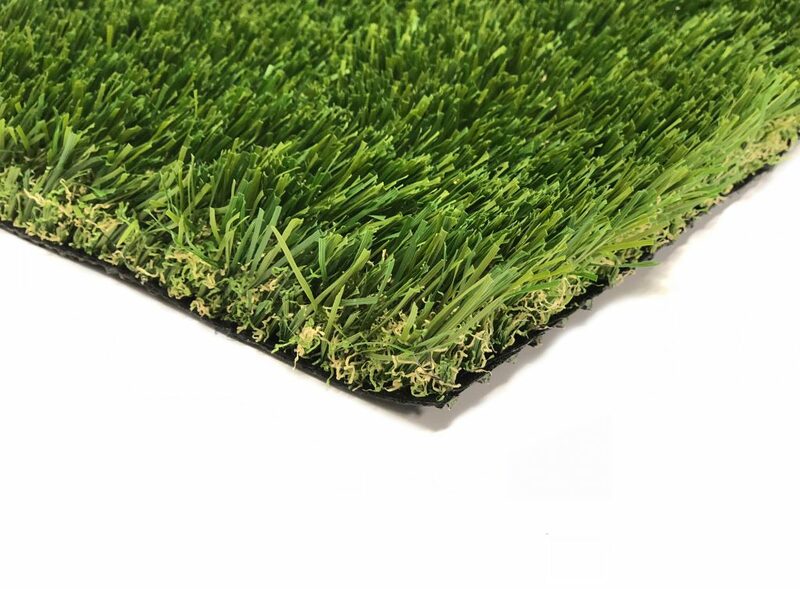 Thanks to the Double S-72, part of our line of artificial grass for residential and commercial use, that worry is part of the past. With an olive/emerald blend color and grown/green thatch and no-shine blades, it looks just like a real, thriving lawn. Unlike real grass, you don’t need to water or mow it. This saves you time and money which means you can entertain more guests. The benefits extend to business owners as well. People like to spend time in a place if it gives them a sense of comfort and peace. That’s exactly what this style of commercial synthetic grass offers. It conveys the feeling of being out in nature, without requiring a landowner to spend money on lawn care costs. Thus, profits go up thanks to the extra customers, while expenses go down. From a local eatery to an outdoor shopping center, it’s a smart choice no matter what kind of business you run. Start making the switch today. Head to a nearby Watersavers Turf location and ask about our free 1’ x 1’ samples. If you’re not able to get to us, we’ll ship them right to you. Attracts more guests to your home or business with residential artificial grass and commercial synthetic grass from Watersavers Turf.